The Wisconsin Republican says Russia is an 'unfriendly adversary' whose aggression is a threat to world peace. 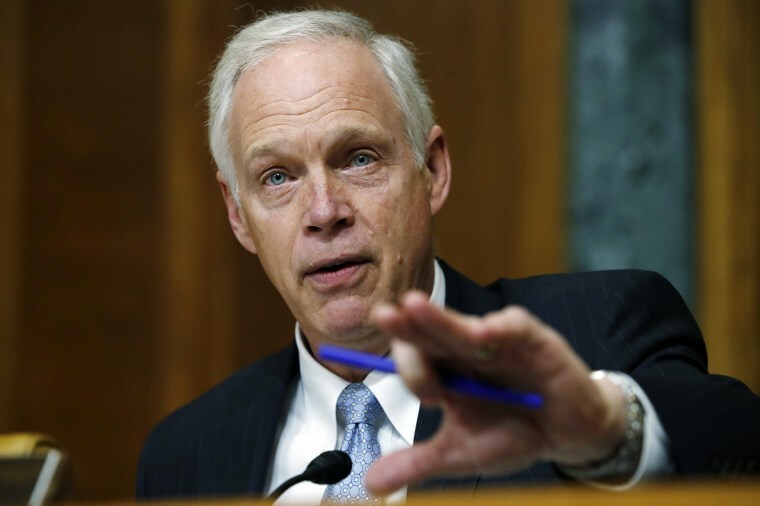 WASHINGTON — Republican Sen. Ron Johnson said Sunday that the U.S. and Western allies must stand up to Russian President Vladimir Putin in the face of “aggression” and “provocations” from Moscow. Johnson specifically cited Russia’s involvement in Iran and Syria, the invasion of Crimea in Ukraine, threats to eastern Europe, and the need to enforce sanctions on North Korea as points of tension between the two countries. Russia’s ambassador to the United States, Anatoly Antonov, said Friday on “Today” that he can’t remember a period of worse relations between the two countries. The United States announced a decision last week to expel 60 diplomats from Russia and close the Russian consulate in Seattle following the poisoning of a former Russian spy in the U.K. Russia responded by announcing a move to expel 60 U.S. diplomats and close the U.S. consulate in St. Petersburg. Johnson added that he has “no idea” whether the way President Donald Trump talks about Putin is influenced by Special Counsel Robert Mueller’s investigation into Russian attempts to meddle in the 2016 election. But he did say that he “absolutely” believes Mueller’s investigation has hampered the ability of concurrent investigations in Congress to get information. But not all Republicans speaking out this weekend made the point that the congressional investigations should have come first. Rep. Trey Gowdy, R-S.C., the current chairman of the House Oversight Committee, who is not running for re-election, said on CBS News' "Face the Nation" that he was glad to have Mueller appointed because "Congress has proven itself incapable of conducting a serious investigation." "Congressional investigations leak like the gossip girls," he said. "They’re terrible. I mean, they're terrible, and I would be telling you that if I were staying in Congress. They are just not serious."